In 2007 we had a national debt of 24.8 billion today that debt is now 250 billion and going up all the time! So 220 billion has gone where???? Certainly the people of Ireland did NOT get these billions we were lied to by our bought and paid for corrupt politicians who took on 230 billion Euro of extra private corporate debt and no one can say where it has gone! Just imagine what the country would look like if the gangsters in Government had given every citizen say 300 Euros a week since the 1st of January 2008 I have no doubt the economy would be in much better shape! Instead we have a corporate dictatorship now ruling the country and they are busy asset stripping the natural resources of our nation on the monopoly money created out of thin air! In so doing they have enslaved us and the future generations into financial slavery! For the last 4 years these lying Bast**DS in Government have stripped the weakest members of the Irish society of their dignity, the means to sustain themselves, they have stripped away the communities of the vital health services, education and housing! There is now an attack on some of the most needy the un-married mothers of Ireland. The low hanging fruits in the orchard! This is war a war on the poor and the ordinary people of Ireland by corporate greedy merchants! The political class has now lost all creditability and all of the political parties are on the same gravy train, out for themselves and the “what’s in it for me parasitic system must now be taken down! A new breed of citizen is now emerging from these downtrodden members of our corrupted society, Yes a breath of fresh air is sweeping through Ireland and these patriots, like these woman speaking at the GPO this afternoon will not be pushed back into their boxes and they will not be pushed into accepting the crumbs the disgraced political class throw down on to the floor. These are the true hero’s of Ireland to-day standing up against the corrupt state and their hired thugs! May they continue to get stronger because Ireland needs these people! Because of the constant untruthful attacks in media in particular RTE and a Labour loving DJ with LMFM and now the court attack from the State, the Gardaí, Anglo Irish Bank and their receivers and senior legal teams, it has become necessary for me to step aside as . The constant abuse of process and late filing of affidavits on the night before the hearings, is a clever ploy to delay the court case and keep me occupied in a frivolous court battle up to the elections. While a small few within the party are delighted to see me step down, as they said I have become toxic, I still enjoyed overwhelming support from the majority of the party. To them I take this opportunity to thank them for all their support. To the few of which I no longer have their support I would like to say that I accept their stance and bear them no malice. Direct Democracy was really set up to challenge a corrupt system where the rights of the people were put aside to protect corporate corrupt entities that have ruined this country. I constantly attacked the system and the system attacked back and a few of the DDI members believed the attacks, one went as far as to say I broke the law. Even the system didn’t find me guilty before a trial. RTE did a hatchet job in a pathetic primetime programme that was cut in a very construed way to give a false impression of my character. RTE must remember they are a state broadcaster not a broadcaster for a corrupt state. Anglo Irish Bank and its cronies had the audacity to go to court to secure an arrest warrant for my arrest and claim that I broke some law, kettle calling the pot black comes to mind. On false evidence Gardaí broke into my home early in the morning and with the alarm screaming my wife was on the landing pleading with the Gardaí not to come upstairs as we had young children in the house. My young children aged 1, 5 and 9 had to witness their father being arrested and taken from their home for these corrupt bastards in Anglo Irish Bank and their legal cronies who can go to state supported courts where they weave magic and make wrong appear right. But to my solid supporters who get it, make no doubt “I haven’t gone away” and I will stand in Europe to air my views and stand up for the rights of the people. Not one of our elected politicians has the gonads to tell Europe where to go when forcing us to pay gamblers on the stock exchange. End of rant hope to see all my supporters in court soon and then let the battle for Europe commence. 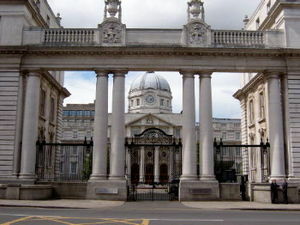 Irish Media – A study of Irish press coverage of austerity between 2008 and 2012 conducted at University College Dublin confirms that the media have been relentless cheerleaders for austerity. The case is so overwhelming that it may even surprise proponents of austerity. The full report is available here (or from this author by email). Ireland has distinguished itself among European countries by implementing austerity at the outset of the current crisis, while a number of other governments reacted by first enacting Keynesian stimulus packages, in parallel to bailing out their banks, before turning to austerity. Austerity might be good for elites, but it attacks ordinary people by cutting government spending on social services, health care and welfare. It seeks to make labour more ‘flexible’ by dismantling and downgrading work conditions and protections to give more power to employers over employees. On top of that, it raises regressive taxes like the VAT and encourages privatisation of state-owned enterprises and assets, often sold to investors at bargain prices. European authorities themselves have announced explicitly, and even proudly, that austerity is used to attack the welfare state and ordinary people. Mario Draghi, the ECB president, declared in an interview with the Wall Street Journal that the European ‘traditional social contract is obsolete’ and that ‘there is no escape from tough austerity measures’. He further said that continuing ‘shocks’ would ‘force countries into structural changes in labor markets’. Accordingly, Europe’s population faces repeated attacks from corporate and political elites, a fact noted by the New York Times recently when it observed that ‘Americanized labor policy is spreading in Europe’. It remarked that in 2008, 1.9 million Portuguese private sector workers were covered by collective bargaining agreements, but that the number is now down to 300,000. Greece has cut its minimum wage by almost a fourth, Ireland and Spain have frozen it, and in general labour protections have been reduced in peripheral Europe, so that austerity is ‘radically changing the nature of Europe’s society’. The developments will transform so deeply the social fabric that the chief economist of the International Labour Organisation described them as ‘the most significant changes since World War II’……………………. Just the other day, during an RTE attempt to support the spin on the so called “resurgent Dublin property market” we had this outburst from Brian Dobson a overpaid gobshit dependent for his livelihood on the taxpayers of Ireland , just like Dole recipients ,teachers, Judges, Garda etc”. This RTE prime donna has the cheek to label peaceful protesters highlighting the real news “ Idiots “ This was a perfect example showing the establishment is engaged in censorship and the state media is stuffed full of pampas arrogant right wing lackeys like Dobson! Yesterday, Minister for Finance, Michael Noonan was probably the first senior minister to broach the truth. Speaking to RTE following the publication of the June 2011 Exchequer Statement, he indicated that the adjustment needed in 2012 would be in the order of €4bn, up from €3.6bn “The job isn’t even half done yet. Next year, even though the overall figures are about two-thirds of this year’s adjustment, it may be more difficult to achieve … A lot of the low hanging fruit has been picked.” He apparently didn’t provide a reason for the greater austerity, but the most likely reason is a downward revision to economic growth in 2012 which will mean less taxes,more unemployment, more welfare. look after their friends .Has it ever been any different ? Brian Lenihan; 30 Sept 2008. Morning Ireland. Brian Cowen; 30 Sept 2008. Six One News. Brian Lenihan; 10 Oct 2008. Irish Times. Brian Lenihan; 19 Nov 2008. Six One News. Brian Lenihan; 14 Dec 2008. Six One News. Brian Lenihan; 16 Jan 2009. Morning Ireland. Brian Lenihan; 8 Feb 2009. The Week in Politics. Brian Lenihan; 18 Feb 2009. 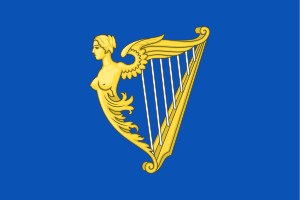 Dail Eireann. This decisive step [to nationalise Anglo] was taken to safeguard the interest of the depositors of Anglo Irish Bank and the stability of the economy. I want to assure the House that this decisive step was taken to ensure the new nationalised bank will collect all debts due from persons who owe moneys to the institution. Brian Lenihan; 8 April 2009. Six One News. I do really want to scotch the idea that there are huge risks to the taxpayer in the valuation process because we are not nationalising these institutions. Brian Lenihan; 10 Sept 2009. Six One News. [NAMA] will get credit flowing. Brian Lenihan; 16 Sept 2009. Nama Bill, Dáil. NAMA will ensure that credit flows again to viable businesses and households by cleansing the balance sheets of Irish banks. This is essential for economic recovery and the generation of employment. It will ensure that we avoid the Japanese outcome of zombie banks that are just ticking over and not making a vibrant contribution to economic growth. Brian Lenihan; 4 April 2010. On the residential property market. Irish Independent. Brian Lenihan; Breakfast with Newstalk. 26 April 2010. Now that I’m the shareholder in Irish Nationwide I will clearly ensure that whatever money is owed by Mr Fingleton is paid by Mr Fingleton. Brian Cowen; 14 May 2010. Irish Times. Brian Lenihan; 7 July 2010. Irish Times. “It is important to bear in mind that these projections are for a plan over 10 years; the figures are likely to change over time. Mr Lenihan said the bottom line was that Nama would never cost the taxpayer anything and might even make a profit of €3.9 billion. Brian Cowen; 7 July 2010. Irish Times. Speaking in the Dáil this afternoon, Taoiseach Brian Cowen said [Nama] would make a profit “somewhere in the order of €1 billion”. Brian Lenihan; 14 Sept 2010. Dail Eireann. Certainly if given the chance I will have this problem sorted out, and this Government will have this problem sorted out a lot earlier than 10 years. Brian Lenihan; 24 Sept 2010. Irish Times. In recent weeks the extra yield investors demand to hold Irish bonds over German bunds has surged to record highs due to investor concern about the State’s ability to manage the cost of its bank bailout and reduce the budget deficit. Mr Lenihan said he was undeterred by the data and that the underlying trends indicated a remarkable turnaround for the economy. Goldman Sachs; 24 Sept 2010. Irish Times. One bright spot for the Government today came from a research note by Goldman Sachs Group which said Ireland was “very unlikely” to experience a financial crisis as severe as the one that forced Greece to seek an international bailout earlier this year. “A repeat of the Greek debt turmoil in Ireland is very unlikely,” Michael Vaknin, a senior fixed-income strategist at Goldman in London, said. Brian Lenihan; 30 Sept 2010. Newstalk. The Finance Minister has described today as ‘rock bottom day’ as far as the banks are concerned. Minister for Finance Brian Lenihan said the State would have to invest in the bank, and that “progressive” changes would be made at management and board level in AIB. “It will, I believe, result in a substantial gain to the taxpayer over time as the bank is restored to its proper position,” he said. Brian Lenihan; 4 Oct 2010. Irish Times. … the figures showed the exchequer deficit for the first nine months of the year stood at €13.4 billion, compared to a deficit of €20.1 billion, recorded at the end of September last year. Minister for Finance Brian Lenihan said this evening the figures showed the public finances were “stabilising” due to decisions taken by the Government. Brian Lenihan; 11 Oct 2010. Irish Times. Minister for Finance Brian Lenihan said today he is “absolutely” sure the country will not need to seek a bailout from the IMF and European Union. In an interview recorded for Bloomberg Television, Mr Lenihan said Ireland “was not in a balance of payments deficit position” but admitted the country did have “real fiscal and banking problems to address”. “We had a big contraction last year. We contracted by 10 per cent in GNP terms in one year. We got it back to zero again this year. That’s quite a turnaround,” he said. Mr Lenihan claimed Ireland was emerging from deficit on the back of stronger exports and stressed the country is fully funded through to the middle of 2011. Patrick Honohan; 13 Oct 2010. Irish Times. Prof Honohan said dealing with senior bondholders was “complicated” because under Irish law they “stand equally with depositors”. He also said things went “in a bad direction” for Ireland, and “we’re now turning this around and coming out of it”. Brian Cowen; 16 Nov 2010. Irish Times. Speaking in the Dáil, Mr Cowen reiterated that Ireland had made no application for external support and said there had been some “ill-informed and inaccurate” speculation about the Government seeking a bailout in recent days. Brian Cowen; 17 Nov 2010. Irish Times. He stressed that “there has been no question, as has been stated all over the weekend, of a negotiation for a bailout”. Brian Cowen; 19 Nov 2010. Irish Times. Taoiseach Brian Cowen denied that the rescue plan would lead to a loss of Irish sovereignty. He also dismissed suggestions of failure. “I don’t believe there’s any reason for Irish people to be ashamed and humiliated,” he said. They have destroyed in a few years what countless generations of Irish men and woman fought and died for to establish an Independent Irish republic .As of yesterday was are no longer a proud independent people. We are handing out the begging bowel to the English and are once again put back into a place my generation knew so well, the poor house of Europe.